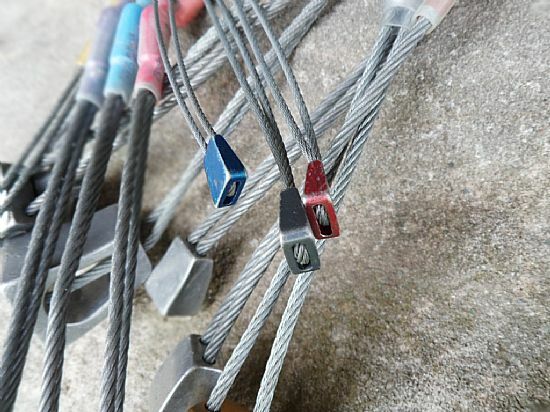 An introduction to climbing indoors, this course covers the essentials of climbing on an indoor wall including: putting on a harness, tying in, bottom rope belaying and basic climbing techniques. This is run as two 3 hour sessions at the NCC climbing wall in Newcastle upon Tyne. 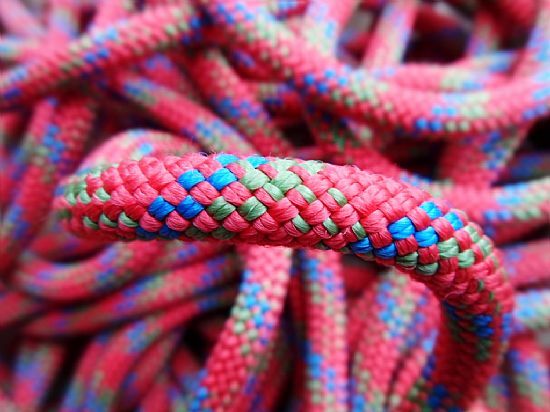 Learn the skills necessary to transition from a competent bottom rope climber to leading routes indoors. 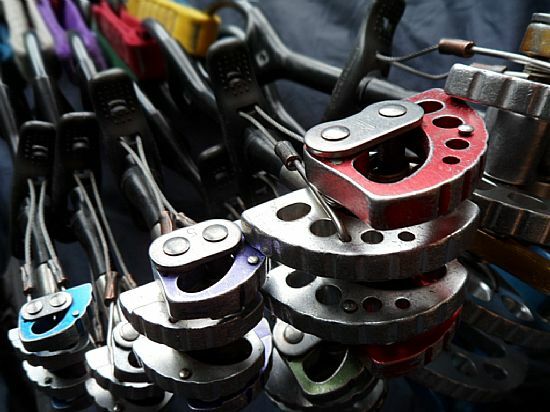 Covers the essentials of lead climbing including: lead belaying, clipping quickdraws, resting and lower offs. Run as two 3 hour sessions at the NCC climbing wall in Newcastle upon Tyne. An ideal first introduction to bouldering outdoors. This session includes climbing technique tuition, guidebook use and route selection advice. This is a beginner course and is perfect for anyone who hasn’t done any bouldering before or has some indoor experience. This is a 2 hour session at Shaftoe boulders in Northumberland. 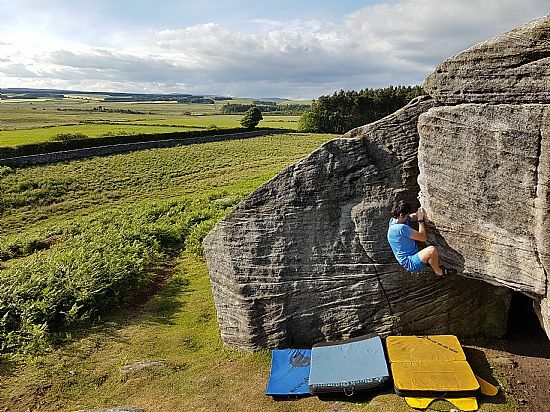 An opportunity to try bouldering outdoors but a longer session length allows more bouldering and coaching to be covered. Ideally suited to those who have done some bouldering before (indoors or outdoors) or are just looking for a longer session length. This is a 4 hour session at Shaftoe boulders in Northumberland. A chance to give climbing a try at an outdoor crag, with lots of fun to be had and to learn some rock climbing basics. 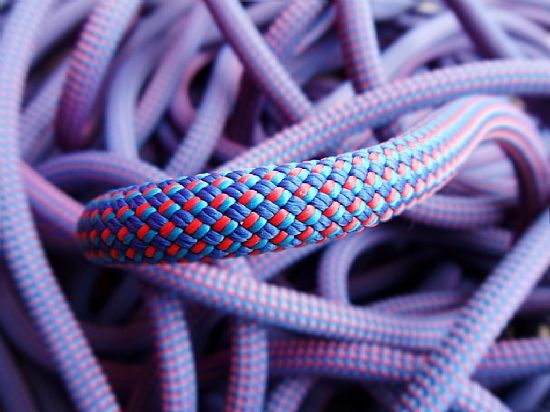 Suitable for people who have never climbed before or have previously climbed on climbing walls. This is a 3 hour session at East Woodburn Crag in Northumberland. 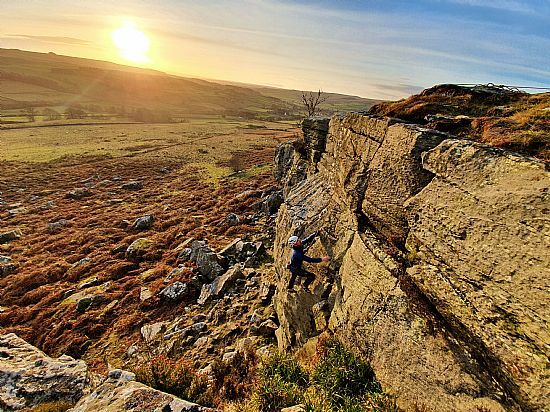 A chance to give climbing a try at an outdoor crag but a longer session length allows more climbing to be done, more content to be covered and even more fun to be had. This is a 6 hour session at East Woodburn Crag in Northumberland. 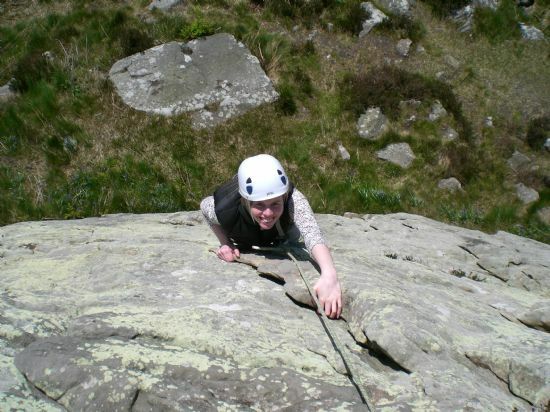 An introduction to leading outdoors, this course covers the essentials of climbing outdoors and trad climbing on crags including: crag and route selection, placing gear and setting up belays. This is a 6 hour session at East Woodburn Crag in Northumberland. As per the 1 day course, however being run over 2 days allows 2 different crags to be visited, additional techniques and a greater depth of content to be covered. This is run as two 6 hour sessions at Kyloe Crag (day 1) and East Woodburn Crag (day 2) in Northumberland. 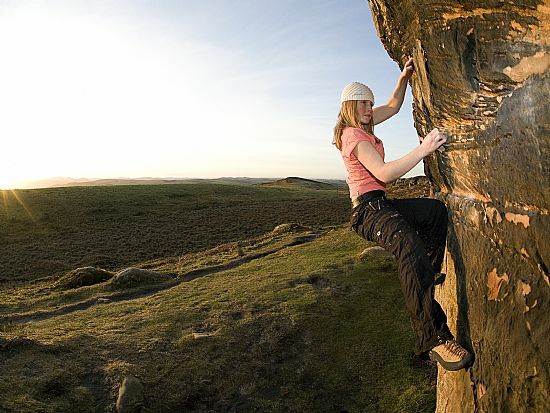 Climbing courses are run on any date suitable for yourself (assuming the availability of Climb GB). Get in touch and let us know if you have a preferred date. You can download an equipment list for the rock climbing courses showing what you will need to bring with you and what Climb GB will provide. The map below shows the venues in Northumberland that Climb GB uses for rock climbing courses (Orange markers) and easy to find meeting places (Blue markers). For sessions at Shaftoe, East Woodburn and Kyloe Crag we will meet at Belsay, Ridsdale and Belford respectively; all of which are within easy travelling distance of Newcastle upon Tyne, however free pick up and drop off is also available from Hexham station.